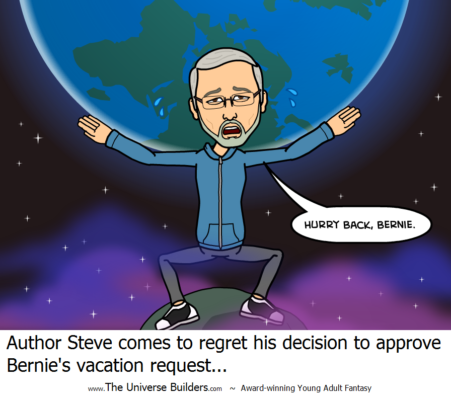 This is the prequel to the award-winning fantasy The Universe Builders: Bernie and the Putty. All of God Town is in an uproar. A child has been lost. The Town mobilizes and an exhaustive search is carried out, but as the day wears on, fear grows that little Emily may be lost forever. Despite the growing evidence, the gods continue to resist the the idea little Emily has wandered into the woods, a place feared by even the gods. Yet one young god, named Bernie, isn’t afraid. With the help of his friends, Suzie and Lenny, they embark on a rescue no god would ever consider. They will search the woods, and if necessary, they will even search the deadly area beyond The Town called the Unknown Territory. It’s a fascinating tale of unusual young heroes on a courageous quest.